Viknesh Vijayenthiran October 16, 2018 Comment Now! 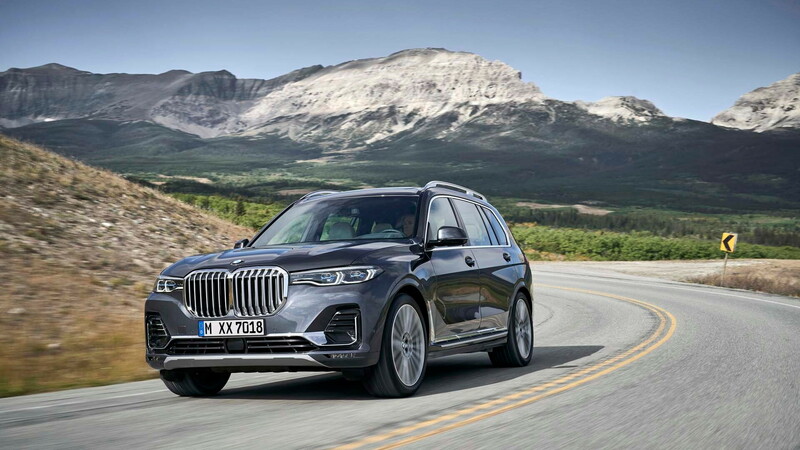 BMW on Tuesday unveiled its entry into the highly competitive full-size luxury SUV segment: the 2019 X7. 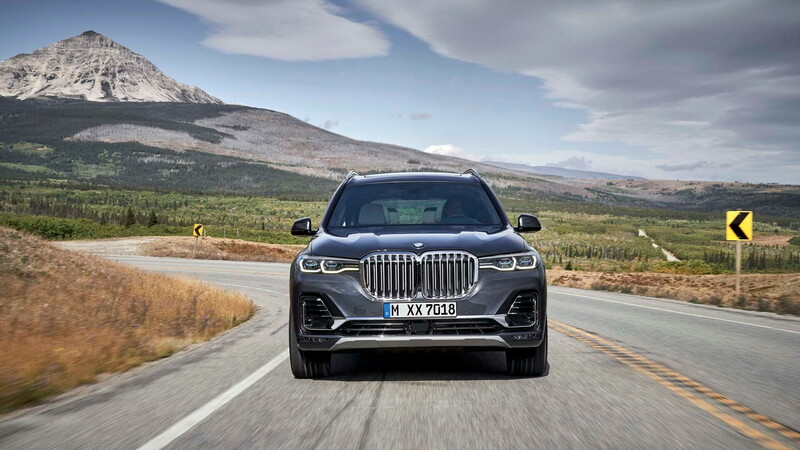 Due for delivery next March, BMW brings the fight with a generous list of features included as standard within the X7's $74,895 starting price. The price nets you an X7 xDrive40i which comes with a 3.0-liter turbocharged inline-6 good for 335 horsepower and 330 pound-feet of torque. 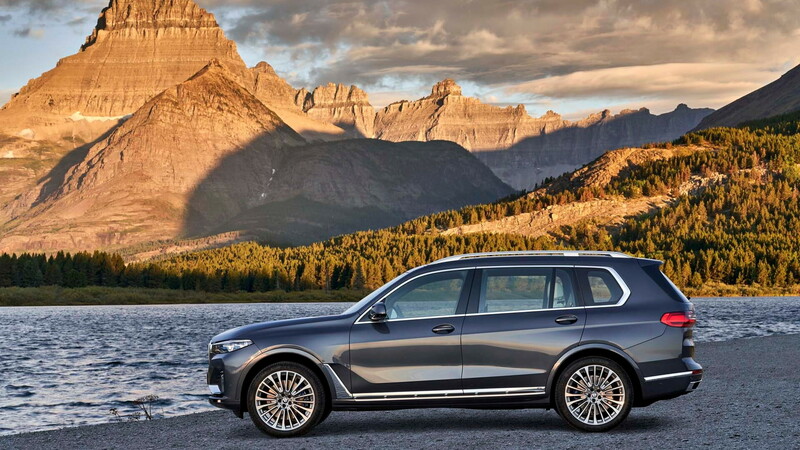 The price also includes all-wheel drive, air suspension at both axles, 21-inch wheels, third-row seats, BMW's latest electronic driver aids, and navigation. BMW is offering a pair of captain's chairs for the second row. However, this option drops the seat count from seven to six. 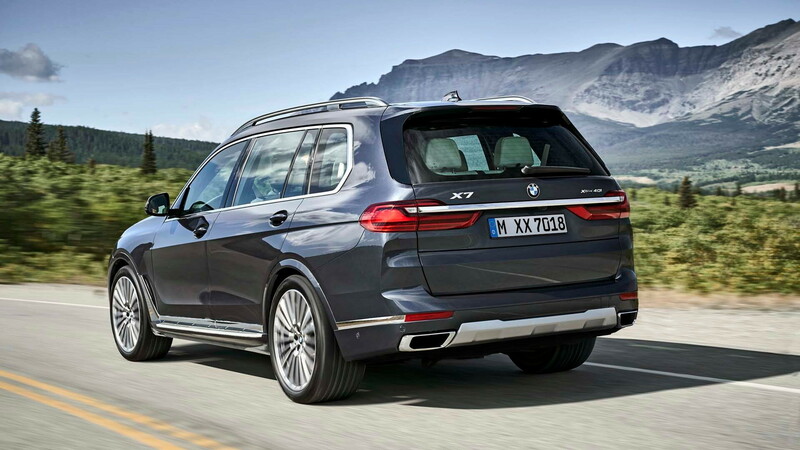 Buyers with extra cash to burn can opt for the X7 xDrive50i which comes with a 4.4-liter twin-turbocharged V-8 good for 456 hp and 479 lb-ft of torque. Naturally, the xDrive50i is the quicker of the two, requiring 5.2 seconds to hit 60 mph versus 5.8 seconds for the xDrive40i. Both models feature a standard eight-speed automatic transmission and top speed governed to 130 mph. How does the X7 compare, in terms of size, with some of its competition? The length measures in at 203.3 inches, which is about an inch longer than the Mercedes-Benz GLS but almost seven inches shorter than the standard length Lincoln Navigator. Other rivals include the Cadillac Escalade, Infiniti QX80 and Lexus LX 570. A collection of bundled digital services will be offered on the X7 as the Connected Package Professional. This provides Remote Services, Concierge Services, On-Street Parking Information, and Real Time Traffic Information for the first four years of ownership. This is in addition to the standard BMW Connected app which offers numerous functions of its own in addition to being able to connect with multiple mobile devices. Wireless charging and a WiFi hotspot are also standard across the range. The standard audio system in the xDrive40i features 10 speakers. 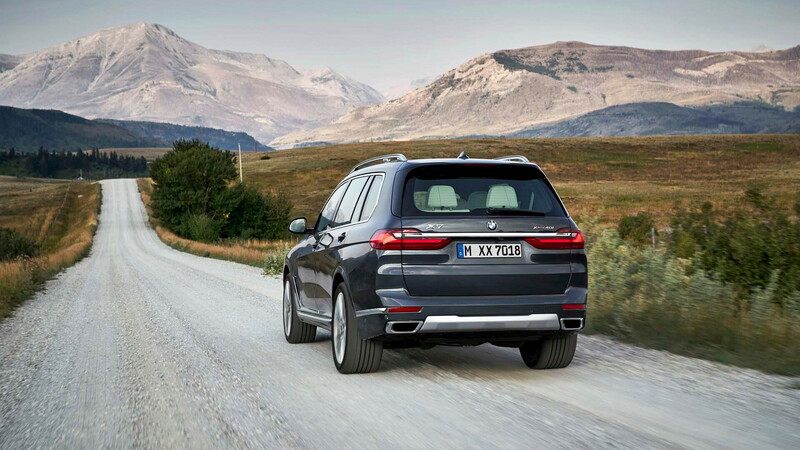 A Harman Kardon surround sound system is standard in the xDrive50i and optional on the xDrive40i. At the top of the range is a Bowers & Wilkins system with 25 speakers. All the latest in electronic driver aids are onboard. Camera monitoring systems help when backing up or parking, and when out on the road X7 owners will have access to the usual collision warning, blind spot detection, along with lane departure and cross traffic alert systems. There's also a Driving Assistant Professional package which is standard on the xDrive50i and available on the xDrive40i. It features systems that help with the steering, including a semi-autonomous traffic jam assistant that can handle speeds up to 37 mph. The system can be used on limited access highways and uses a driver-facing optical/infrared camera located in the digital instrument cluster to monitor the driver’s eye and nose position to determine if they are monitoring the road ahead. As long as the driver is found to be attentive to the road ahead, the need for the driver to place their hands on the wheel every 30-50 seconds is not required. Production is being handled at BMW's plant in Spartanburg, South Carolina, where the automaker also produces the X3, X4, X5 and X6 models. The plant is BMW's biggest and approximately 70 percent of the output is exported. The X7 will be shown to the public for the first time at the 2018 Los Angeles auto show in November. And for the first time, BMW is letting potential buyers pre-order the vehicle online. The pre-order process starts this month.